The Alabeo Extra 300S coming with Prepar3D is such a fun aircraft that I couldn’t help flying aerobatic once in a while, even though I mostly got dizzy after it. After the G5 instruments, I was planning to resume my cockpit rebuilding. But since a new piece of equipment is still on its way, I decided to go ahead with the Extra 300S gauges first, which I’ve been thinking of for a long time. My original update plan for the G5 FSX/P3D version was June or July this year so I can spend more time on my cockpit rebuilding. However, since many G5 FSX/P3D users asked when the update will be available, I have pulled the plan to the top of my list. Following is a quick video of the G5 (with dual flight directors) on B58 in motion. 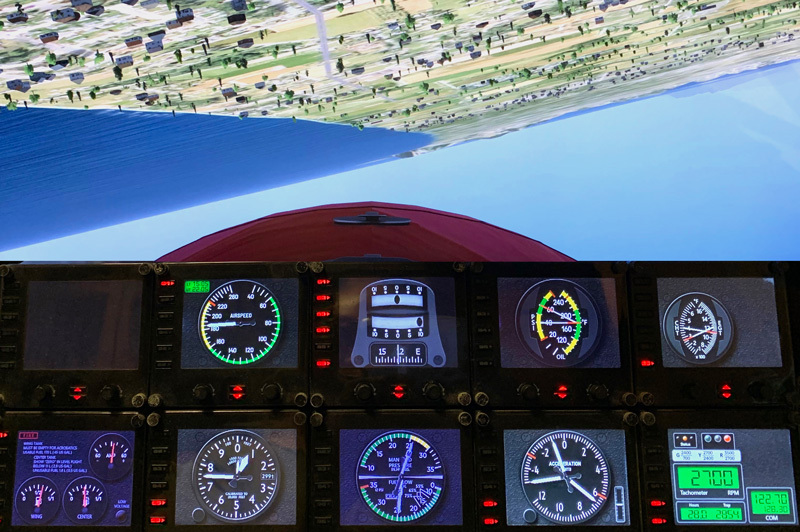 There are a number of ATC programs available to flight simulation. One of the popular ones is Radar Contact, which was firstly released 21 years ago. Recently, its developers announced to give the program away for free from January 1st, this year. If you are not aware of it, you can get your copy from here. A few more sets of FIP gauges for the default Maule M7, Carenado C172N and A2A BeechCraft A35 were developed in the last few months. In addition, the Carenado C152 gauges have also been updated. They are all ready now. Among them all, the Autopilot Control (APC) for the Maule is the most interesting one as it not only fits on the Maule but also good for most other aircraft, in particular to those setups that don’t equip with any autopilot hardware. The location of this driver has changed, making it no longer compatible with the installer of my gauges. In particular, it will remove all your gauges already installed.